Former Ghanaian international, Mohammed Ahmed Polo believes Asante Kotoko lost their CAF Confederations Cup campaign at home against CARA. The Porcupine Warriors squandered three penalties out of four penalties awarded to them in the first league at the Baba Yara Sports Stadium. Substitute, Yakubu Mohammed converted a late penalty to give the Reds a slight lead over the Congolese club. However, the FA Cup champions were crashed out of the CAF inter-club competition by CARA in the second league held in Brazzaville on Wednesday losing 6-7 on penalties. And according to the Hearts of Oak legend, Kotoko’s dream of making it to the next round of the competition abruptly ended after failing to take their chances in the first league. 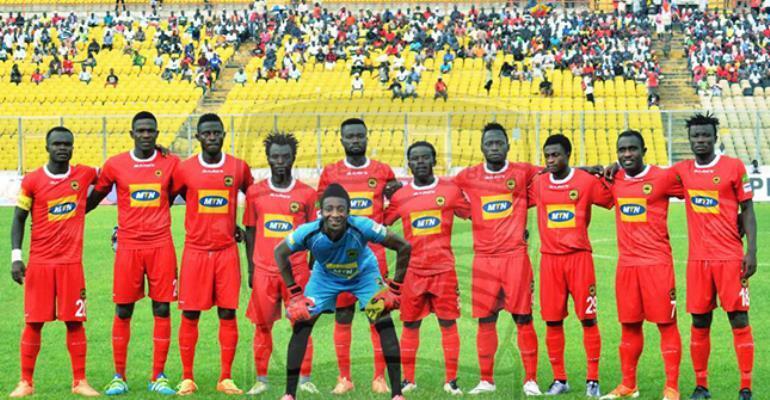 “Kotoko lost their Confederations Cup campaign at home after failing to take their chances in the first league in Kumasi and I was very surprised they couldn’t win on the penalty shootout in Congo so they have themselves to blame,” he told Accra based Oman FM. “I don’t know how prepared they were ahead of the game in Congo and for me, I think they should have learned how to take penalty kick at the end of every training session and after failing to score three penalties here in Ghana, they went to Congo and lose on penalties so it tells you something was wrong somewhere,” he added.